As of 19th August 2018 - Waterside is under new management and has undergone some changes. Waterside is a self catering cottage situated on the shores of Loch Ewe, amidst the dramatic scenery of Wester Ross. With wonderful views of Loch Ewe and a garden that leads down to the beach, it is an ideal base if you wish to walk, cycle, observe the wildlife (seals, otters, herons are commonly swim, paddle and paddle by, not to mention the occassional sea eagle) or simply relax. Otter cottage is a delightful bungalow which is now available as a holiday houseshare option for up to 3 guests willing to share a bathroom and kitchen with their host. 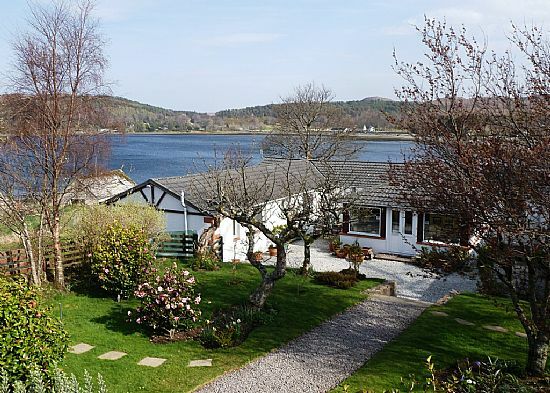 Both cottages share a garden which leads down to the sea loch with gorgeous views across the bay to Inverwe Gardens, and are nestled in a private courtyard with its own parking in the beautiful village of Poolewe.